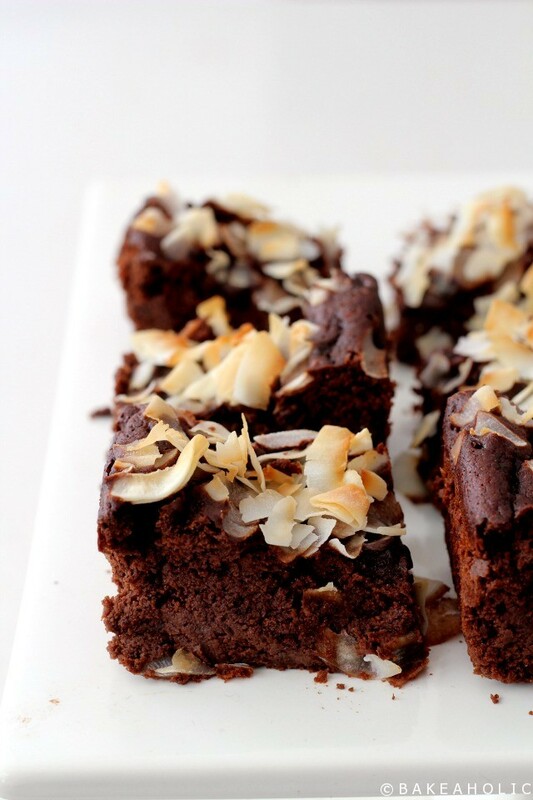 Let’s just get this out of the way right now – yes, these are Black Bean Brownies. Yes, they contain black beans. Yes, they’re delicious. Yes, they’re fudgey. Yes, you should eat 6. No, you cannot taste the beans. Promise. But really. These are awesome. I’ve only ever made black bean brownies once before, and I feel like I didn’t give them enough of a chance. The recipe I made the very first time, a few years ago, was different and I feel like you could almost recognize the black beans. This time, they’re the real deal. I had seen this recipe, and knew I had to try it. I made them again this past weekend for an early birthday celebration for myself and a friend (our birthdays are June 4th & 5th). We’ve both been on a super health kick lately with regular workouts and healthy eating so we wanted to carry it through to our birthday party. To be honest, we wanted to have healthy food / appetizers so that we could indulge a little in the desserts. But, of course, those also had to be healthy-ish too. We also made some spring roll rice wraps for the first time and they turned out so well too! They’re easy to make, loaded with veggies, and can feed a crowd. 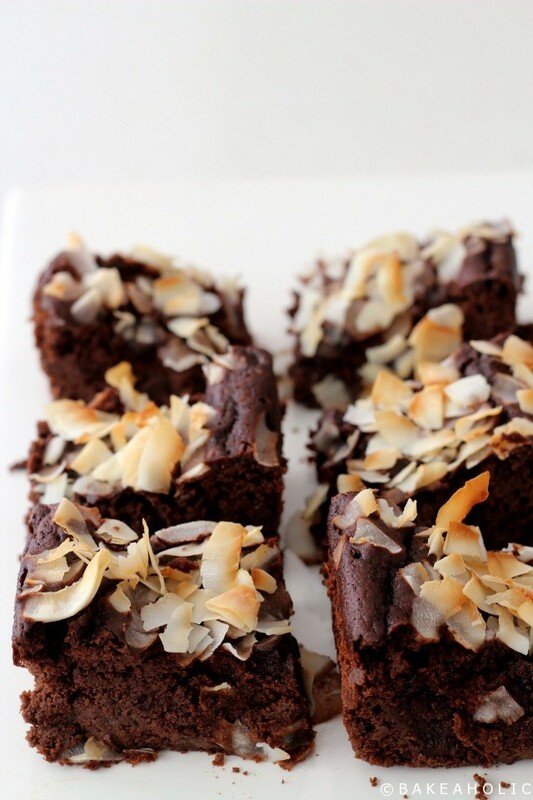 These Black Bean Brownies are incredibly chocolatey, fudgey, dense, and indulgent yet secretly healthy. They’re also free from refined sugar (this was also my first time using Enjoy Life mini chocolate chips, and they were delicious! ), gluten free, and have a good portion of protein and fibre due to the beans! The batch I made for the party were slightly thinner, as I made them in a 9×9 pan. The second time (i.e. the next day, because they were all gone) I made them in a loaf pan and they were thick and chewy. I like them both ways, but if you want them to go further use a slightly larger baking dish. Deliciously healthy, you won't feel guilty having two. 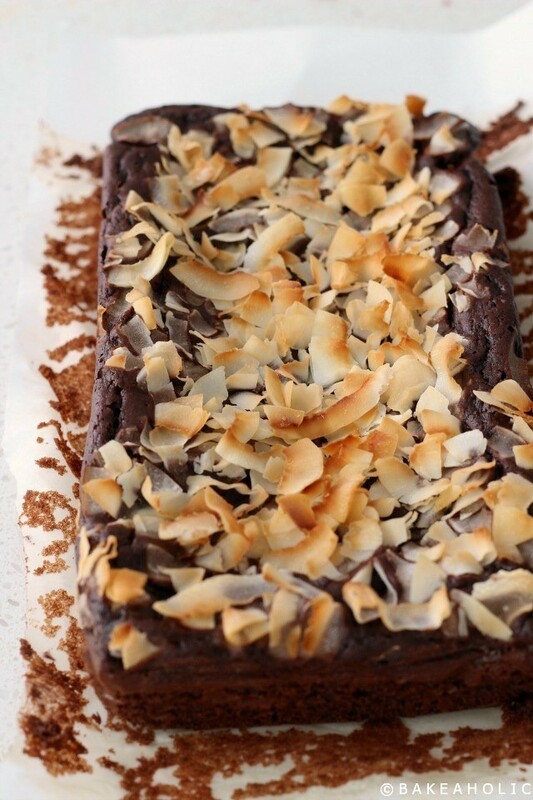 These brownies are dense and fudgey - no one will guess the secret ingredient! Combine all ingredients except the chocolate chips and/or coconut chips in a blender or food processor, and mix until silky smooth. Stir in the chocolate chips, do not blend. 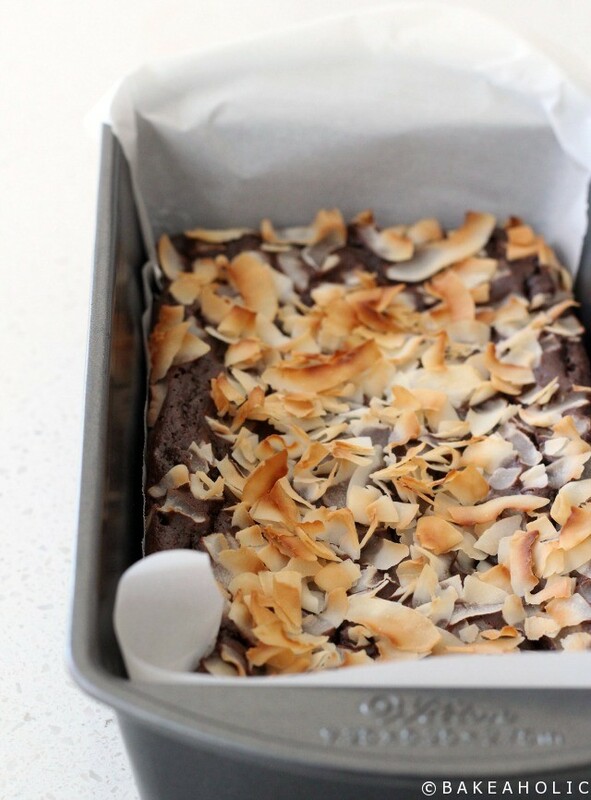 Pour the batter into the prepared pan, sprinkle with the coconut chips (if using) and bake for required time (see below) or until the brownies are set. Don't over bake. Remove from the oven and let it rest in the pan for at least 20 minutes before cutting. 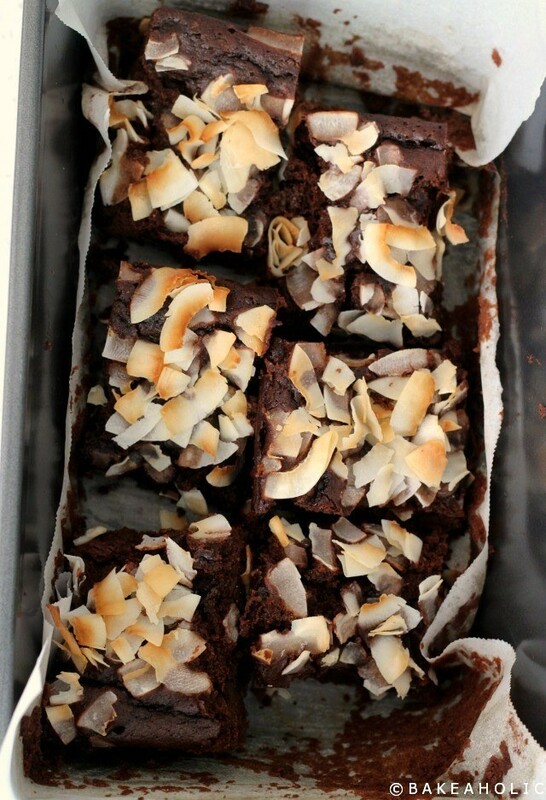 * These can be made in an 8x8 or 9x9 pan, bake for 20-25 minutes, until set. * I like to let these set overnight, or place in fridge to firm up. Leftovers should be refrigerated.